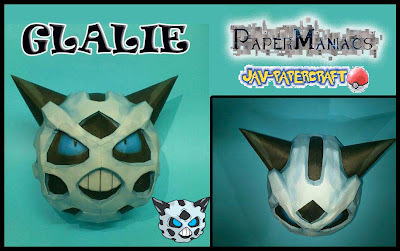 This pokemon papercraft is Glalie (Onigohri), an Ice-type Pokémon, based on the anime / game Pokemon, the paper model was created by javierini. There are 47 parts on 8 sheets of paper. Glalie evolves from Snorunt starting at level 42. It is one of Snorunt's final forms, the other being Froslass.